Like anything else in the world, the quality of your business is determined by the quality of its component parts. Every factor from the happiness of a single employee to the interactions between departments has an impact on your business. 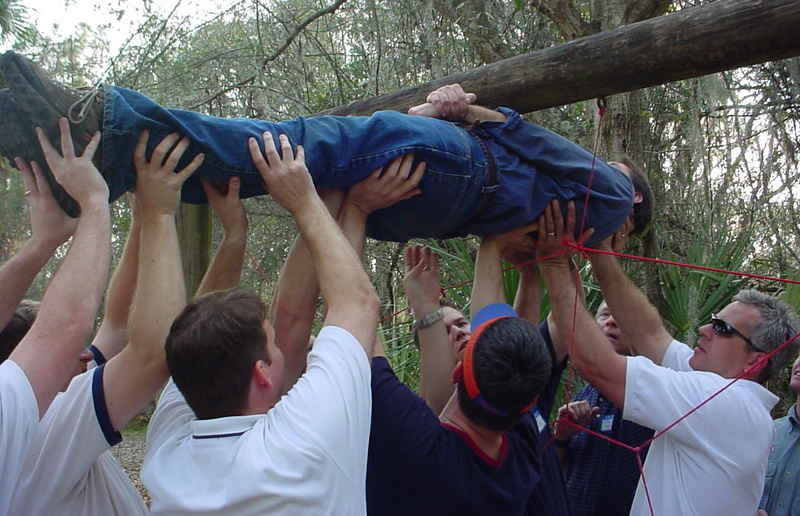 Our Corporate Team Building programs improve the quality of your company by strengthening its most vital components. We work closely with you to determine your company’s needs. In many cases, these needs are related to a change that your company may have gone through recently. Has a corporate restructuring created interdepartmental communication problems? Collaborative reasoning challenges will encourage your employees to think about the essential components of communication as it relates to large scale problem solving. Have you recently hired new employees? A session on our High Ropes Course will build trust between your existing employees and new hires while creating instant memories. In other cases, your needs may be based around issues that have slowly developed. Employees that do not innovate often just need to be reminded of the many benefits of creative problem solving through one of our Low Challenge Elements. Problems of decreasing morale can be solved through any number of our programs that allow teams to achieve real success. We believe in creating programs with lasting value. The day after one of our programs, your employees should find themselves trying new things, committing to greater challenges, setting clearer goals, and forging new communicative pathways. For us, Corporate Team Building is more than just a fun way to spend a day, it is the best way to improve your business by improving its components. We customize our programs to fit your time constraints. Our programs make great stand-alone programs and also incorporate well into corporate workshops or retreats. 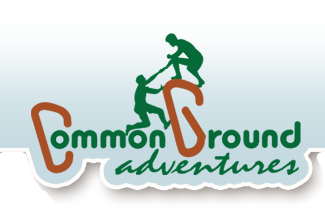 Visit our Program Structure page for more information on how our Corporate Team Building Programs can work for your organization. Thank you again for providing wonderful opportunities for these kids to try new things and become accustomed to adventures. We love Lynn and Amy and they way they interact with our kiddos. They certainly have created a safe environment for our campers and began the trust process for these kids.